Yogurt is a dairy product which we intake every day. It caters the needs with coldness along with needs of protein in our body. It is a good way to eliminate your appetite and people who does diet they definitely involved in their diet. Yogurt reduces our weight. But it may increase the weight if we intake it in wrong way. To get the full benefit of yogurt here we have described some precautions. Pay attention to Calories: Often people prefer to eat low fat yogurt to eat to reduce the increasing weight. Low fat yogurt has low amount of protein which is very essential for our body. If a packet of yogurt contains 100 calories with only 6 grams protein then it will not benefit you. In this situation you can choose 12-15 grams of protein packet yogurt so your stomach remains full by consumption of it. You need not only look at calories but also some other things when you want lose weight. Eat more yogurts: It is true that intake of yogurt loses your weight but if you intake in more amount than your weight will increase. So you must have to eat in limit amount. A small bowl of yogurt in a day can meet many needs of your body. Other things combine yogurt: We used to add something in yogurt. Some people are like to add snacks or some like sweet. Some add fruits or some add dry fruits in it. Eating yogurt with mixed ingredients has a direct impact on your health. You may have acidity if you add fruits in yogurt. So it is very important that you decide in which form you want to eat yogurt. If you want to eat yogurt in breakfast then you must have to add oats and nuts. If you want to eat yogurt for your hunger then add some fruit. This will give you protein and calcium. Fat-free yogurt intake: Being a dairy product yogurt has sweet. But the yogurt which comes in packet it is mixed with sugar. Do not buy that yogurt which has more than 18 grams of sugar or sugar on the top spot on the label. Fat-free yogurt is used only for its flavor. If you like the taste of fat-free yogurt then you should check protein and sugar ingredients in it. High consumption of probiotics: According to several studies, probiotics are beneficial for our health. So many companies use this method to sell their products. Do not understand that probiotics would be beneficial to your health. Therefore, you do not need to add more yogurt to get the benefits of probiotics in your diet. Yogurt with desserts: Yogurt is used to dress-up many things in yogurt parlor. This form of yogurt is harmful for your health. These parlors use more fat yogurt which is usually packaged with granola. So you may eat more yogurts unknowingly. 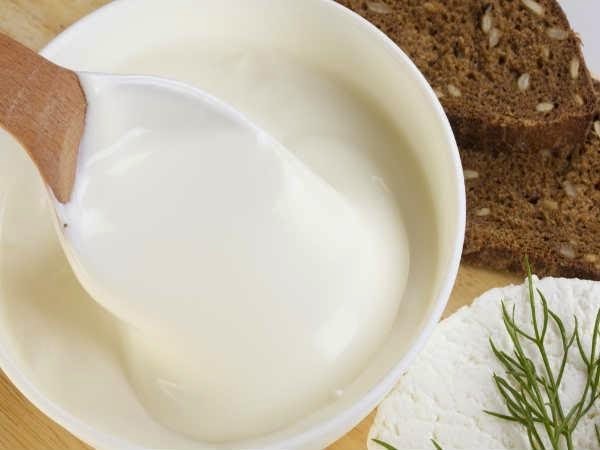 For your hunger you should eat homemade yogurt instead of this yogurt.